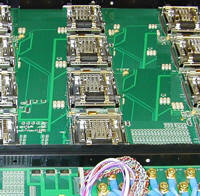 Pactron provides an end-to-end solution for your Reliability and Burn-In requirements. With established expertise in Burn-In board (BIB) design for major Burn-In systems, Pactron seeks to provide innovative solutions to maximize test coverage at minimum cost. 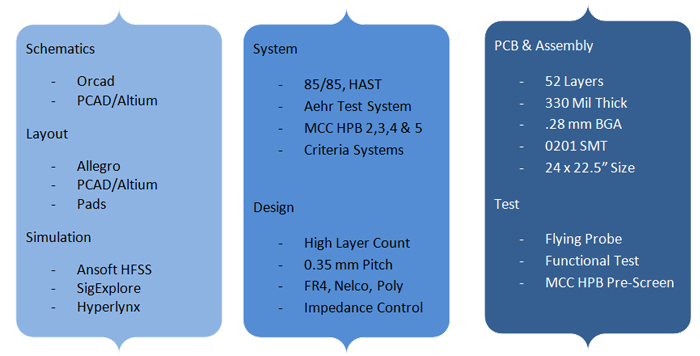 Pactron’s Burn-in team is team is highly geared towards meeting the industry demand for solutions involving, for e.g., CAF, tight pitch, high power, de-rating, and custom circuitry on Burn-In boards. With a highly experienced Burn-In team and a long standing relationship with the semiconductor industry, Pactron is well positioned to meet the ever-evolving challenges of semiconductor reliability.